On Jan. 13-15, the world’s largest retail conference and expo kicks off at the Javits Convention Center in New York City. NEC retail experts are putting the final touches on demonstrating how its leading-edge video analytics technologies transform the in-store experience for shoppers. 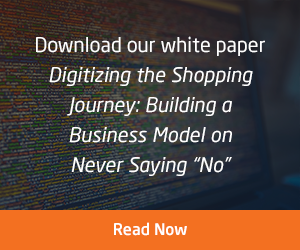 This deeper understanding of shopper behavior can then be used to enable the ultimate, frictionless personalized shopping experience and make checkout and other in-store processes more efficient and effective—for retailers and shoppers alike. During the event, NEC will focus on four areas of the retail experience—Customer, Operations, Analytics and Marketing, all powered by the NEC video analytics platform services. An in-booth tour starts with self-registration using NEC facial recognition software, which in turn enables multiple touchpoints and experiences throughout the booth. Big Show visitors also will get a glimpse of how facial recognition and data analytics assist retailers behind the scenes as well through improved business operations. NeoFace Watch uses real-time face recognition to provide retailers with an effective, transparent loss-prevention system. NEC will show how retailers can use this same technology to manage employees’ time and attendance as well. Additionally, booth visitors will get a first-hand look at NEC’s industry-leading point-of-sale hardware devices. Up-to-the-minute sales data analytics helps retailers survive and thrive in this competitive marketplace. Reliable sales data and reporting enable tailored in-store offers to customers, plus aids in managing inventory and staffing. While in NEC’s booth discover ways analytics can be used to track demographic and traffic data related to in-store shoppers. Using facial recognition systems retailers are able to track repeat customers at a location without collecting any personally identifiable information. 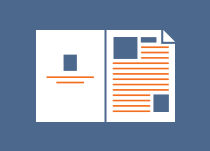 This information in turn helps drive marketing content and analyze purchase patterns. NRF expo attendees will also have the opportunity to interact with NEC customer Cali Group’s face-based kiosk when visiting NEC’s booth. The facial-recognition kiosk, now being rolled out at CaliBurger locations, shows how easy it is to deliver fast and truly frictionless transactions. Guests will peruse a menu, choose items and then pay for their virtual purchases without pulling out their wallets or personal devices. Face-based payments someday may replace credit cards as customers look for a more personalized experience like face-based kiosks without the long lines and wait times. Representatives from the Cali Group will be on hand in the booth to answer questions about the innovative use of facial recognition technology in the Quick Serve Restaurant (QSR) industry. Book with an NEC retail expert! 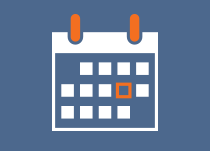 Fill out the form today, and we will schedule you a personal tour with an NEC retail expert at the Big Show. Facial recognition technology and data analytics continue to change the in-store experience for shoppers. These technologies enable a more-meaningful, personalized in-store shopping experience, while also making checkout and other in-store processes more cost effective and efficient for retailers and customers alike. From Jan. 13-15, 2019, nearly 37,000 retailers and industry experts from around the world will descend on the Javits Convention Center in New York to attend NRF 2019, the world’s largest retail conference and expo. During the Big Show, NEC will showcase how facial recognition and data analytics are transforming four areas of the store experience, including Customer Experience, Operations, Analytics and Marketing. As soon as they step into booth #1936, visitors enter a virtual store to encounter first-hand a new, improved in-store experience, resulting in better engagement for customers and tangible business benefits for retailers. When entering the NEC booth, visitors self-register by providing only a photo and first and last names. No need to use personal mobile devices, cards or keys. This frictionless, near real-time pre-registration process enables multiple touchpoints and experiences throughout the NEC booth tour. Online shoppers appreciate the convenience of automatic loyalty offers, and NEC will demonstrate a similar in-store experience through its virtual store. Once registered, visitors are easily and automatically identified as loyal customers as they progress through the booth tour. Personalized greetings will appear while moving through the demos. 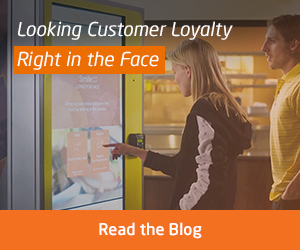 Instead of waiting until checkout to ID loyal customers (when it’s too late for meaningful customer engagement), automatic identification results in 100% loyalty redemption rates for in-store shoppers. Further, booth visitors can also interact with the face-based kiosk, which is being used by NEC customers. The facial-recognition kiosk demonstrates how easy it is to deliver fast and truly frictionless transactions. Guests can peruse a menu, choose items and then pay for their virtual purchases without pulling out their wallets or personal devices. All you need is your face! Big Show visitors will get a glimpse into how facial recognition assists retailers with business operations. 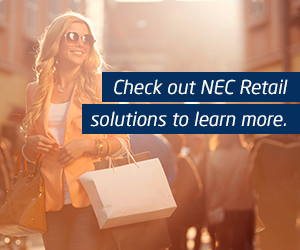 NEC’s facial recognition solutions are real-time and provide retailers with an effective, transparent loss-prevention system. As someone approaches a surveilled area, for example, alerts are triggered on the analytics dashboards. NEC will also be showing how retailers can use this same technology to manage employees’ time and attendance. In-store staff check in and check out using face recognition, thus preventing proxy check in and check out. Near real-time reporting is available with this system so that schedules can be easily coordinated. Additionally, visitors will have the opportunity to experience first-hand various models of NEC’s industry-leading point-of-sale hardware devices. Booth “shoppers” can experience easy and deviceless checkout as well. Total expenditures and receipts show up on the wallboard next to the exit. No wallets or credit cards needed for this automated checkout experience. For retail businesses, the ability to access up-to-the-minute sales data analytics helps them survive and thrive in this competitive marketplace. Reliable sales data and reporting enable retailers to make tailored in-store offers to their customers. Sales data aids in managing inventory plus helps store managers more effectively plan staffing, especially during critical times of high traffic. These benefits in turn elevate the customer shopping experience and help boost profitability in the store. Analytics can also be used to track demographic and traffic data related to in-store shoppers. Stores have the capability to create heat maps to track and manage shoppers’ interest in various products or displays within the store. Advanced glance technology determines the amount of “dwell time” on items (such as a shelf display) by tracking interest and intent to purchase. This data can be matched to sales conversion data from the POS to judge the display’s effectiveness and use of shelf space. The data gleaned from the in-person shopping experience helps retailers improve their outreach through targeted emails, app notifications and even in-store messaging. Using facial recognition systems aids retailers in recognizing repeat customers at a location without collecting any personally identifiable information. This information drives marketing content and analyzes purchase patterns. NEC’s advanced display technology helps retailers improve their marketing efforts. Cameras capture customer data to be used for customized content distribution and for measuring message effectiveness. The technology also collects audience metrics automatically. Want to know more about the exciting and industry-leading technology that NEC will be featuring at NRF 2019? Book a personal tour with an NEC retail expert while you’re attending the Big Show. Hope to see you there in January! People. Patterns. Predictions. Meet the new NEC Advanced Recognition Systems. This week I am celebrating my sixth anniversary with NEC. I recall that my original trip to visit the Headquarters in Tokyo was postponed by the unfortunate events of the 2011 Tsunami and earthquake. Since then, we have established our Center of Excellence in North America and extended our offering to U.S. Federal clients. We also introduced a number of products and services, including ground breaking cloud-based Identity as a Service (IDaas), and we solidified our position as the premier provider to Law Enforcement and public safety clients in the United States. These days, rather than thinking about the past I’ve been spending a lot of time thinking about the future. A future where I see continued proliferation of biometrics use, increased emphasis on crime prevention and a convergence of “identity” with access management. Through advancements in data analytics and artificial intelligence (AI), our biometrics technology can evolve from technology used to determine where people have been and what they may have done, to predict where people will go and what they will do. In response to these emerging market trends, today I’m proud to announce that we have rebranded our former biometrics solutions division to NEC Advanced Recognition Systems. I believe that biometrics coupled with high-powered analytical engines can predict and positively alter our travel experiences providing easier access, shorter lines and improved utilization of resources; recognize patterns for real-time monitoring, threat assessment and escalation and through it all provide tools for improved planning and forecasting. To underscore our mission and align our products and services the new Advanced Recognition Systems group will give emphasis to three key words: People, Patterns and Predictions. People. Our primary mission is to serve citizens and the people who protect them. Whether keeping the public safe at home, supporting troops overseas, improving the experience of travelers, or providing the right identity at the right time, our advanced recognition systems supply trusted intelligence to help build safer and brighter communities. Patterns. From fingerprint pattern recognition to arrangements of accessible data, sequences of critical information are everywhere—you just have to know where to look. Our cutting-edge advanced recognition systems can pinpoint valuable patterns for solving crime, strengthening national security, and identifying trends and efficiencies for tech-savvy businesses. All to help enable diverse missions and realize the possibilities. Predictions. Our advanced recognition systems can transform the efficiency of your team. Instead of simply gathering and reporting data, our technologies analyze intelligence to predict public safety threats, alert agencies to emerging global concerns, pinpoint potential risks in high-traffic venues, and provide invaluable input to critical business decisions. Our new name better aligns our extensive local and global capabilities in meeting the all-encompassing needs of our clients. Using our systems integration approach to the market we are committed to understanding our clients’ challenges first, and assist them with a full solution implementation in comparison to any specific biometric technology or tool. While finding success in reaching these new markets, we remain committed to our roots and will continue to consistently provide high-quality, accurate solutions for government and public safety markets. I’d like to thank everyone who has participated in NEC’s success in the past six years and who have also contributed to the study and launch of this new vision. I hope you’ll take a look around the new Web site and help us spread the word. Want more information about a Safety and Security solution? Fill out the form, and we’ll have a solutions expert reach out to you. Hey Buddy!, I found this information for you: "Speak Freely – Part I". Here is the website link: http://nectoday.com/speak-freely-part-i/. Thank you.